Choose something fancier if you may be going out for an evening event. Bonus: re-wear these for Christmas parties next year! Dress 1: Plunge neckline, deep red tone, pleated skirt, and flattering silver waist band. 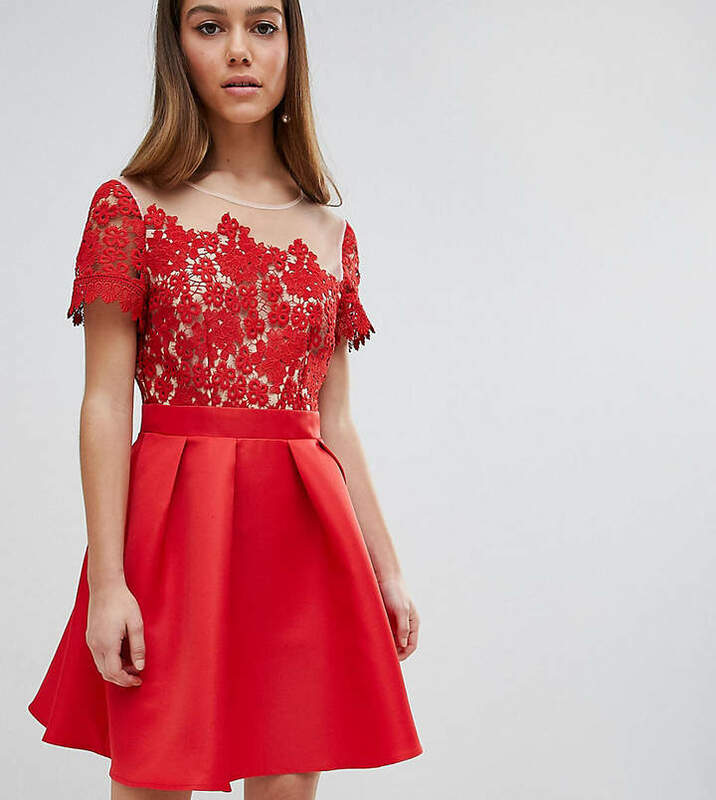 Dress 2: Short sleeves, flared skirt, and a delicate lace trim. Try a flowy mini for something dressy, comfy, and easy to wear. Great for brunch or dinner. 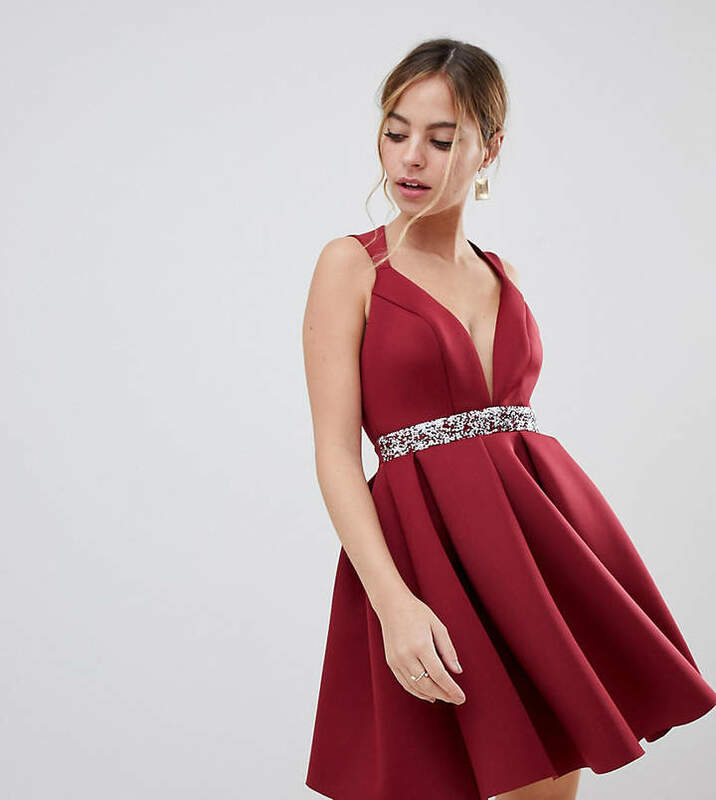 Dress 3: This wine-red shift dress will have you twirling! 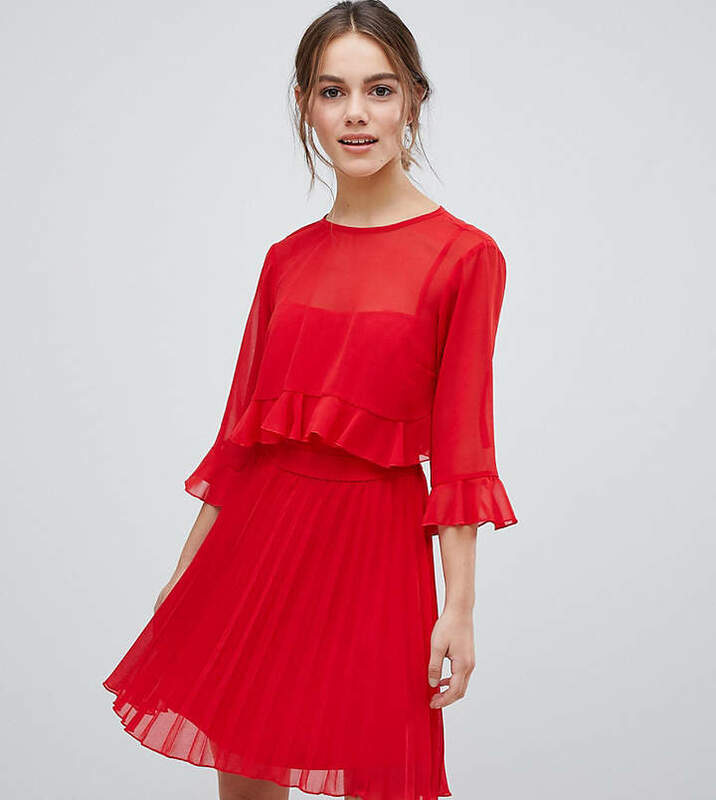 Dress 4: An overlay top with delicate ruffle trim gives shape without fitting too tightly. Ideal for daytime activities, casual fabrics and simple cuts make these dresses reusable for many occasions. Dress 5: Tie waist wrap dress great for day to night and at the office. Dress 6: A skater fit with long sleeves is cozy and quick to dress up or down with jewelry and accessories. Prefer something less traditional? Choose a trendier design or print to mix things up. Dress 7: Layer this corduroy with side buttons over a tee. Dress 8: A tropical print will do you well for spring and summer vacations, too. Dress 9: Leopard print creates a fun vibe that’s easy to re-wear. Don’t let the weather hold you back from a mini! Go for a sweater dress and add leggings if needed. Dress 10. 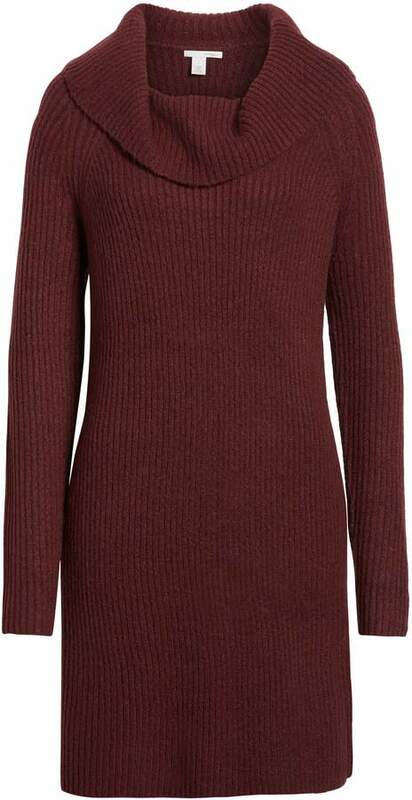 Deep wine red, a cowl neck, and long sleeves balanced by a fitted silhouette. Find me on Pinterest (Fox Petite) and Instagram (@foxpetiteblog) for more content. Pin this graphic on Pinterest to save for later!